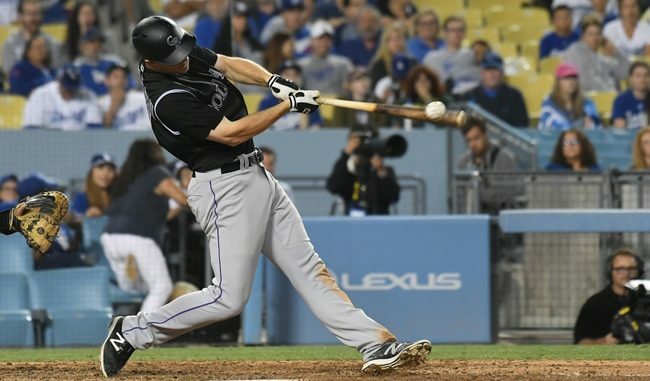 The Colorado Rockies and Los Angeles Dodgers will kick off a very important four game series on Thursday night at Coors Field. Both teams come into this series scuffling just a little bit. The Dodgers have lost three of their last five games, while the Rockies have lost six of their last eight. Both teams are still very much in the National League playoff race, but this series could have a huge say in who gets in. The Dodgers enter this game just a half game behind the Arizona Diamondbacks for first place in the NL West. The Rockies trail the Diamondbacks by just three games in the division. Both teams are also close to a Wild Card spot in the National League. The Colorado Rockies are +120 on Thursday night. Colorado Rockies third baseman Nolan Arenado is having a monster season, and the media is starting to take notice. Arenado is in the National League MVP discussion as he leads the Rockies in nearly every offensive category. His 29 homers and 81 runs batted in are near the tops in the National League. Arenado hopes to lead the Rockies back to the postseason this season. Lefty Tyler Anderson is having an up and down season for the Rockies. He will bring his 6-4 record with a 4.05 earned run average into his start on Thursday night. Anderson got roughed up in his last start, giving up 7 earned runs to the Milwaukee Brewers in just four innings pitched. In his only start against the Dodgers this season, Anderson pitched eight innings of four hit ball to earn the win. The Dodgers will counter by sending right hander Ross Stripling to the mound in the series opener. Stripling has pitched very well for the Dodgers in 2018, bouncing back and forth between the bullpen and starting rotation. Stripling defeated the Rockies on July 1, although he gave up four earned runs in just six innings pitched. The Dodgers need a solid start from Stripling on Thursday. Los Angeles must find a way to score some runs this series if they are going to defeat the Rockies. 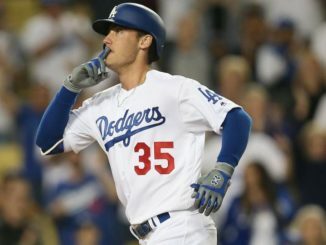 The Dodgers have managed to score just 10 runs in their previous five games, despite making major trades prior to the trade deadline. Newcomers Manny Machado and Brian Dozier look to power the Dodgers into the 2018 MLB playoffs. The Dodgers still haven’t put everything together to pull away from the pack in the National League West. Los Angeles has struggled to keep players healthy for much of the season, but appear to be relatively healthy at this point. The Dodgers must find a way to earn a series split this weekend in Colorado. This weekend is a great opportunity for the Rockies to gain some ground in the division race. Nolan Arenado is having a monster season, and shows no signs of slowing down. Tyler Anderson was dominant in his first start against the Dodgers this season, and look for that trend to continue on Thursday night. Bet the Rockies +120 over the Dodgers on Thursday night.